Can I send invoice reminders using LSP.expert? Yes, you can send invoice reminders in just a click through LSP.expert. 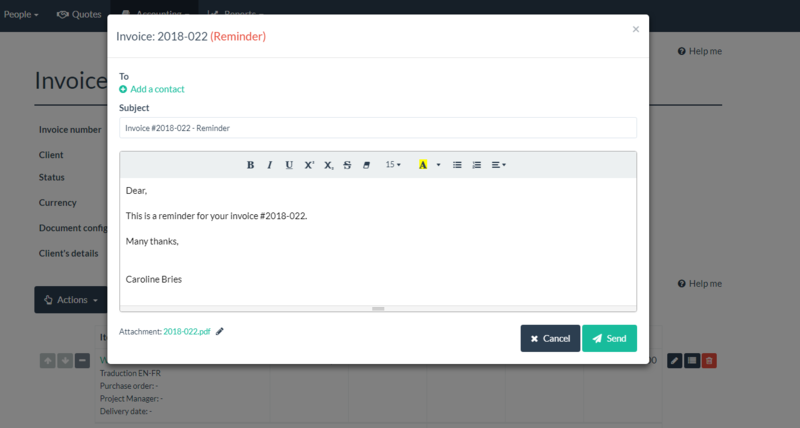 When a client is late for the payment of one of your invoices, you can choose to send him a reminder via our platform. When you're in the invoice concerned, click on Actions > Email invoice as reminder. 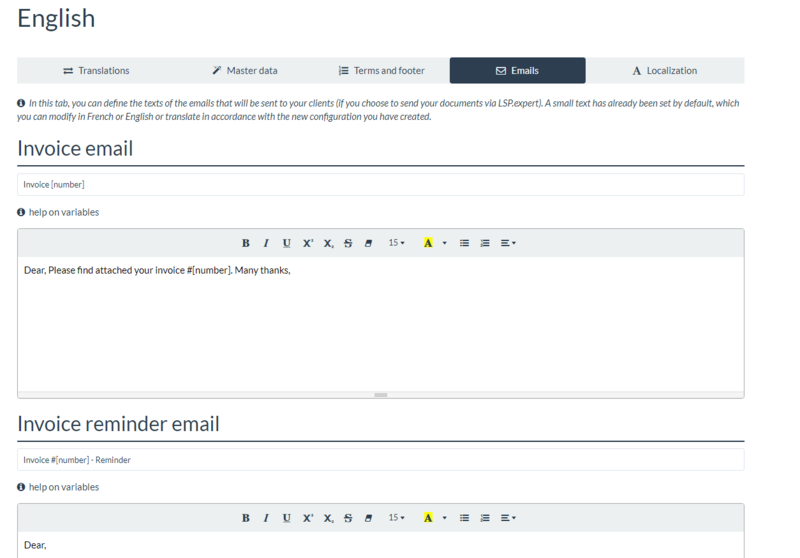 To define a new generic text for your reminder email, you have to go to Settings > Document and email configuration > Emails.